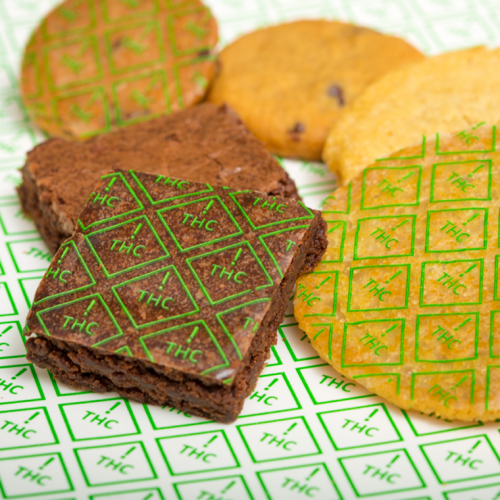 Cannacals™ Baking Sheets are made with cornstarch, sugar and food dye and can be used on a wide variety of foods. They’re especially useful for foods that require a pan to bake, such as brownies and cakes. They can also be used on hot confections like brittles or toffee. Baking Sheets ensure that your food products are covered from edge to edge. Our stable printing process guarantees the colors won’t fade or bleed. Sheets work best on: Baked goods such as Brownies, Cakes, Brittles (Toffee), etc.